CARLSBAD, Calif. (January 3, 2018) – Ready, set, NINJAGO® time! 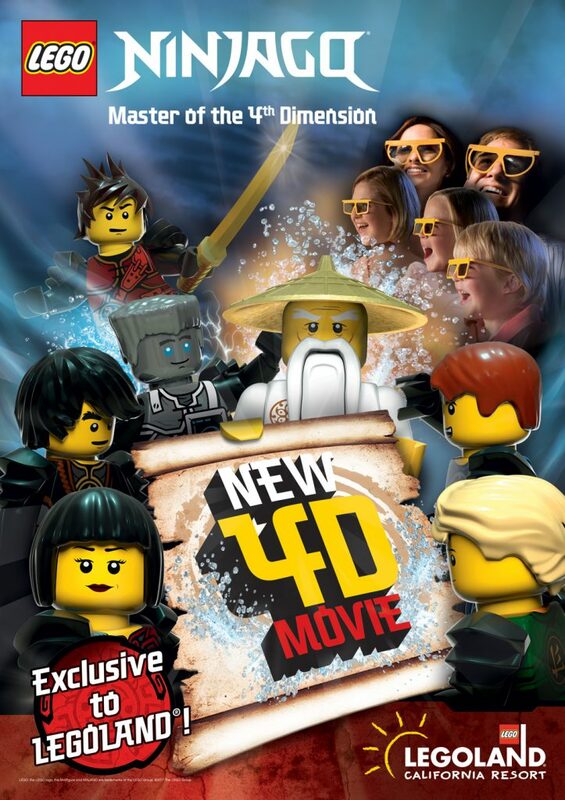 The new 4D film, “LEGO® NINJAGO® – Master of the 4th Dimension”, opens exclusively at LEGOLAND® California Resort on Jan. 12 and will roll out at LEGOLAND® Parks and LEGOLAND® Discovery Centers nationwide throughout 2018. The 12 minute, 4D experience will play throughout the day at LEGO Showplace Theater in the Park. Previous PostPrevious Welcome to 2018: New LEGO Sets & More!